As avid Boon fans, we jumped right on board when they released their innovative and nature-minded Lawn Countertop Drying Rack. Now they’ve added an extra splash of pretty to this drying rack, along with more room for drying baby items, with Stem. 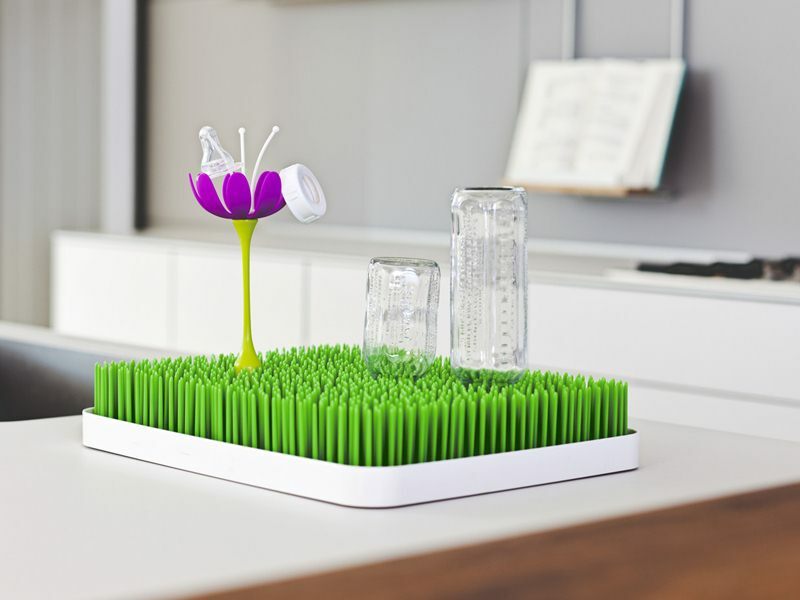 Stem is a sweet (allergy-free) flower you can plant in the middle of your Lawn or Grass drying rack to immediately add more space for drying small, just-washed bottle and sippy cup parts. Each flower helps ensure you’ll still have ample space underneath for drying larger items. As with all Boon products, Stem is BPA-free, phthalate-free and PVC-free, making it a perfect, garden fresh addition to your kitchen. As avid Boon fans, we jumped right on board when they released their innovative and nature-minded Lawn Countertop Drying Rack. Now they've added an extra splash of pretty to this drying rack, along with more room for drying baby items, with Stem. Stem is a sweet (allergy-free) flower you can plant in the middle of your Lawn or Grass drying rack to immediately add more space for drying small, just-washed bottle and sippy cup parts. Each flower helps ensure you'll still have ample space underneath for drying larger items. As with all Boon products, Stem is BPA-free, phthalate-free and PVC-free, making it a perfect, garden fresh addition to your kitchen.